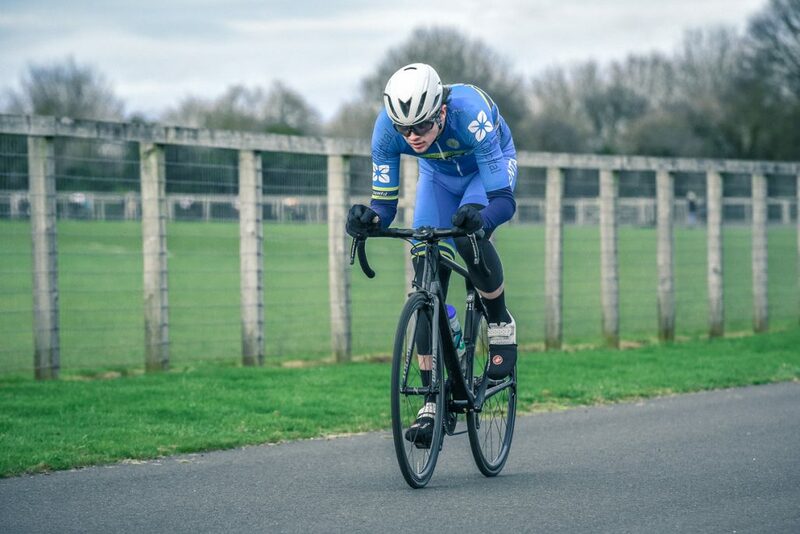 Oliver Beresford (VC Venta) produced one of the most clinical performances we have seen at Odd Down in the past few years, taking victory in Round 3 of the Odd Down Winter Series from a solo breakaway with room to spare. Beresford responded to an early move from Plan2Ride’s Dan Colman but soon found himself out alone ahead of the bunch with almost 40 mins of racing remaining. With no organisation behind, and Beresford riding consistently, even a late counter attack featuring Ashley Hutchinson (VC St Raphael), Colman, Kieron Goodwin and Adrian Lawson (both Nopinz Latchem Development Team) failed to make any substantial inroads into the breakaway’s lead. 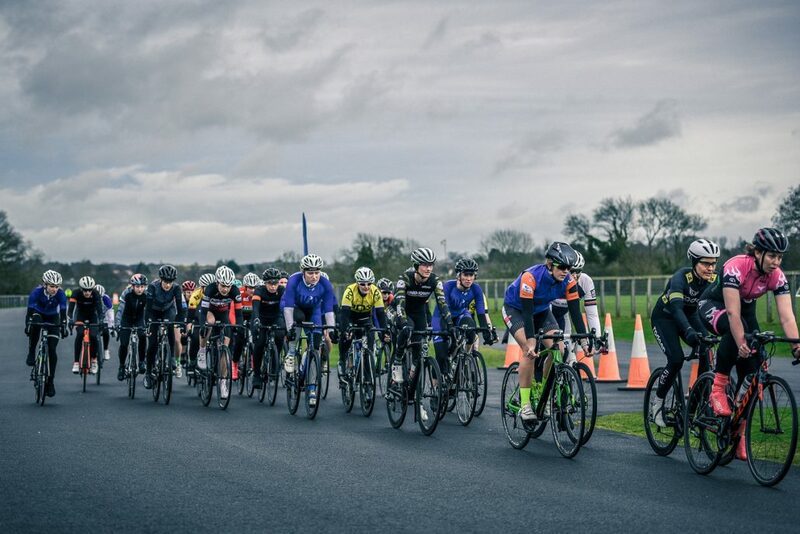 As Beresford cruised round the final laps to his victory, the exodus from the main group continued behind the chasing quartet, with Jamie Atkins (University of Bristol) and Rob Abraham (Bikestrong-KTM) also getting away in the closing stages. That pair could not get close to the battle for second, where Colman dispatched his rivals in the sprint with Hutchinson taking third. This race was all about the 2nd cat series leader Beresford though, who is looking like it will be hard to stop him taking the overall honours. The women’s overall 2nd cat standings are starting to look like they will be a close-run thing, with the top three riders now covered by only 10 points. 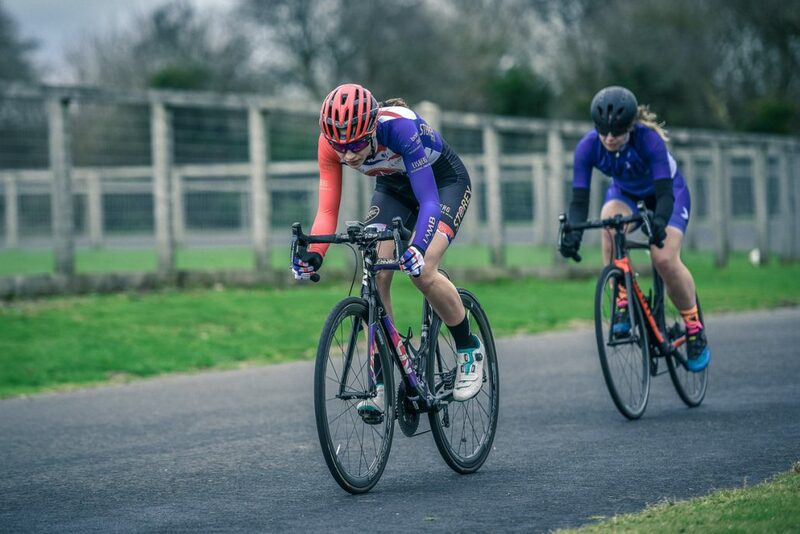 Lucy Gadd (Storey Racing) and Lauren Johnston (Avid Sport) had come into Round 3 tied on 45 points, having both taken a second place behind Louise Hart (Performance Cycles) in the December Rounds. Both riders like to attack, and when Gadd countered a move from Luck Monk (Exeter Wheelers) Johnston was the only one who could respond to set the pair off to build a substantial lead. Behind, Maria Powell (Radeon-Bike Science) was working with Monk to keep the leaders in check whilst Avid Sport’s Emily Slavin was clinging to their coattails as her battle with the twists of the Odd Down circuit continued. As the race entered its final stages, with their lead over the chasers secure, Gadd and Johnston began to size one another up in another tense and cagey finish. Both riders have had success in the sprint, and so we ended up with a stalemate where neither rider wanted to blink first. In the end, Gadd had too much power for her rival, despite being forced to lead the sprint out, and ended up coming home two bike lengths clear. In the chasing group, Powell and Monk could not shake Slavin and she showed her strength in a straight line to charge away for third place. With 30 riders on the start line, the women’s 3/4 race was the largest field assembled for a women’s race ever at Odd Down with the 3rd cat riders looking to take advantage of not racing against the 2nd cats and the 4th cat riders getting a taste of what awaits them when they move up to 3rd cat. 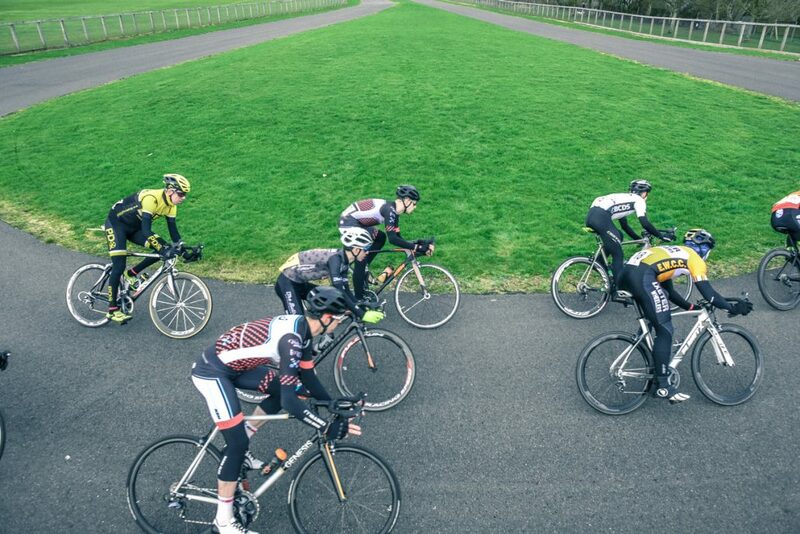 Having scored a podium finish and a 5th place in the 2/3 race last week respectively, Becky Evans (PDQ Cycle Coaching) and Powell were the riders to watch, and it was Evans’ pace-making in the early laps that began to split the group. She was joined initially by Powell, Lucy Collins and Rose McGovern (Cowley Road Condors). With the alarm bells ringing back in the bunch Rosie Lyon-Smith (University of Bristol), Olive Holliday (Velovitesse), Lucy Scott and Fran Bromley (both Avid Sport) latched onto the back of the leaders with Beeston CC’s Emily Walton caught chasing on her own. With a chasing group of eight riders forming behind, the race was taking on its definitive form. Bromley could not hold the pace of the leaders, and so found herself dropping back into Walton’s grasp, leaving a group of seven riders to compete for the win. Into a gentle headwind on the finish straight, Evans showed the sprint that has put her into the clear lead in the 3rd cat overall standings to edge out a strong challenge from Lyon-Smith. It was a messy sprint, with Collins and Holliday finding themselves boxed in on the right and ending up on the grass. The pair held on for third and fourth respectively. There was also a large field for the men’s 3/4 race, with Bath CC fielding the largest team of eight riders and it wasn’t long before they set to work putting the rest of the pack under pressure with repeated mass surges to the front of the bunch. Their efforts threatened to split the field on a number of occasions, most notably when a trio of Bath riders escaping together. The rest of the pack were up to the task, but Bath’s efforts were not in vain as the gaps were being prised open and the field of 50 starters was shrunk to just 19 by the finish. This left Rob Pears (Bath CC), who had been prominent in the moves throughout, the chance to put his speed to work and take the win from Liam James-Morris (Team Backstedt/Hotchillee) and Cian Roberts (Towy Riders) in the sprint. 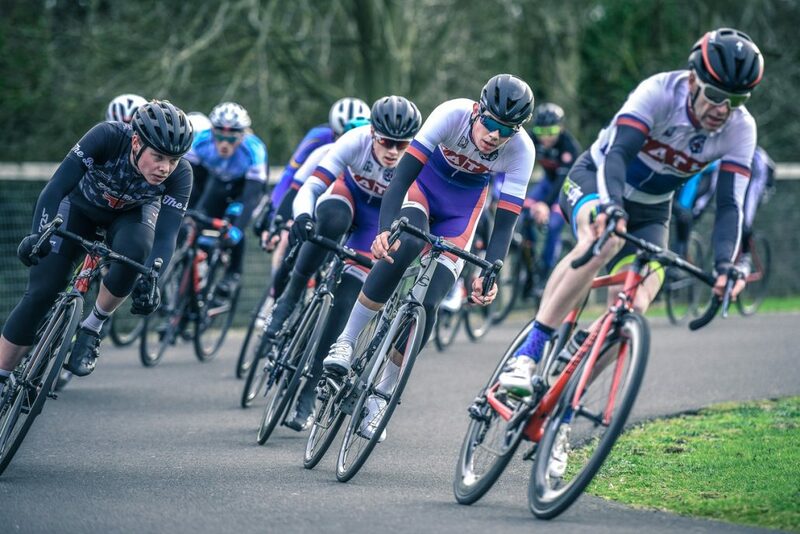 Bath’s collective riding was further rewarded with Elliott Barratt and Charlie Shields scoring fifth and sixth as well as Steven Cottington making it four Bath riders in the top 10 with ninth.